Call us at 205-372-2323 for more information or to make a reservation! 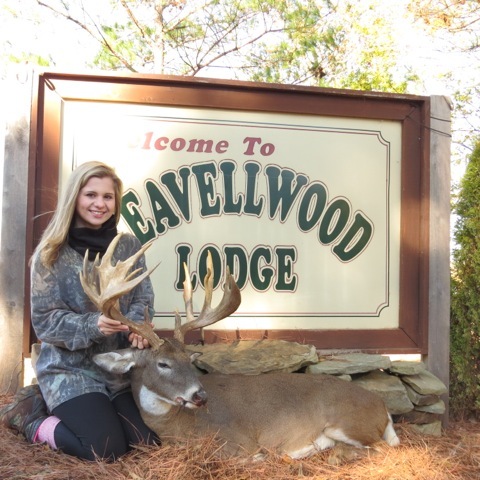 Leavellwood has been created for the express purpose of providing quality fishing and hunting for it’s customers. We are pleased to invite your participation into a truly first class environment that offers not only recreation, but relaxation as well. Leavellwood is located in Greene County, Alabama, 45 miles southwest of Tuscaloosa, Alabama. It’s rich blackbelt soil is famous for growing truly large deer and bass. Greene County holds the State Record for Boone & Crocket non-typical buck and is in the top three for typical bucks. Only 3.5% of land in Alabama is considered Blackbelt region, but 85% of all the record book bucks taken in Alabama are Blackbelt region deer. Up to sixteen points and as wide as a twenty-one inch spread have been taken from the family property. We offer hunting for whitetail deer and Eastern wild turkey, and fishing in our managed lakes for exceptional largemouth bass and bream. Leavellwood has over 100 acres of Trophy Bass Fishing Lakes stocked since 1989. Our meals and accommodations are presented in the best Southern style. Our goal is to make your outdoor adventure enjoyable and productive. Our commitment to quality wildlife management is evident in the rich fields and lakes of Leavellwood. Our meals and accommodations are presented in the best southern style where hospitality is a staple ingredient. 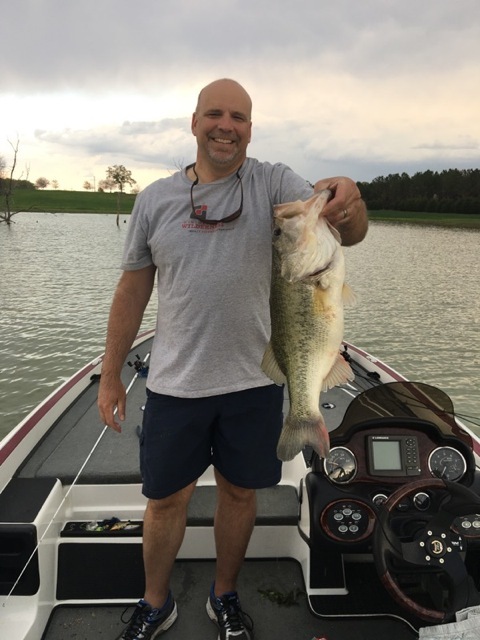 If you are a novice or even a professional angler you will be able to test your skills on trophy bass and bream in one of our beautiful man-made lakes. Each lake has its own unique design with a variety of underwater structures that offer many opportunities to hook a truly big one. We now have over 100 acres of lakes and each lake is equipped with concrete boat launches and offer covered boat houses and electrical hook-ups. You can bring your own boat if you want or fish in one of the fully rigged bass boats provided here at Leavellwood. We offer white-tail deer hunting in both open range or in our 500 acre preserve. We have over 100 green fields with shooting houses and numerous ladder stands throughout the property. We offer two and three day hunts and includes all meals and lodging and guide service to and from stand. Our Eastern wild turkey hunt is a two-day, fully guided hunt. We hunt turkeys in the morning and combo it with bass fishing in the afternoon. This hunt includes all meals and lodging. We offer corporate dove hunts for groups of 25-100 in our planted fields consisting of sunflowers, milo, millet, and standing corn. This hunt includes a barbecue with all the fixings and a round of sporting clays. Also available is that competition fun generated when golfers line up to drive from our tee box at the lodge to the flag located on the Sawgrass golf green. Plenty of fun and activity prior to the hunt. We can provide accommodations for up to 20 people. In addition we have a semi-enclosed and screened in 2,000 sq. ft. pavilion for hosting outdoor events, along with a heated and cooled outside bathroom facility for those large overflow crowds. We are a full service lodge providing meals prepared in our fully equipped commercial kitchen. With beautiful lodge facilities, outdoor pavilion, golf green, manicured grounds and lush landscaping overlooking pristine lakes, we think we have the perfect destination wedding location or corporate meeting event. Room for ample parking and outdoor heated and cooled bathrooms are a most for our customers. Our onsite lodging consists of two separate buildings located far enough part to allow the bride and her party to enjoy privacy and comfort in preparation for that big event and never have to leave the property. We can accommodate small or large groups in this quiet, peaceful setting.